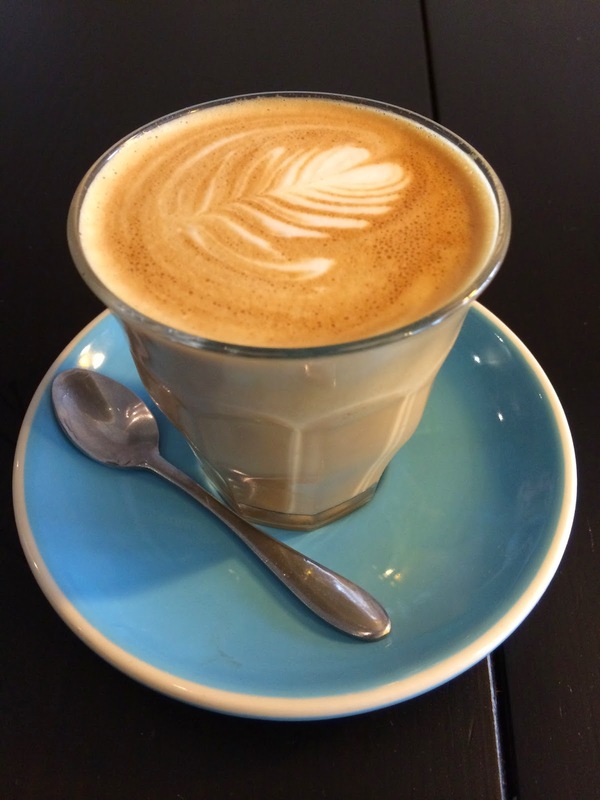 Paper Plane Cafe is a cosy joint nestled in Horwood Place in Parramatta. The cafe has a modern decor, an extensive menu ranging from sliders to salads and a nice list of drinks. It was the perfect place for K and I to catch up, especially on a cold, windy day! 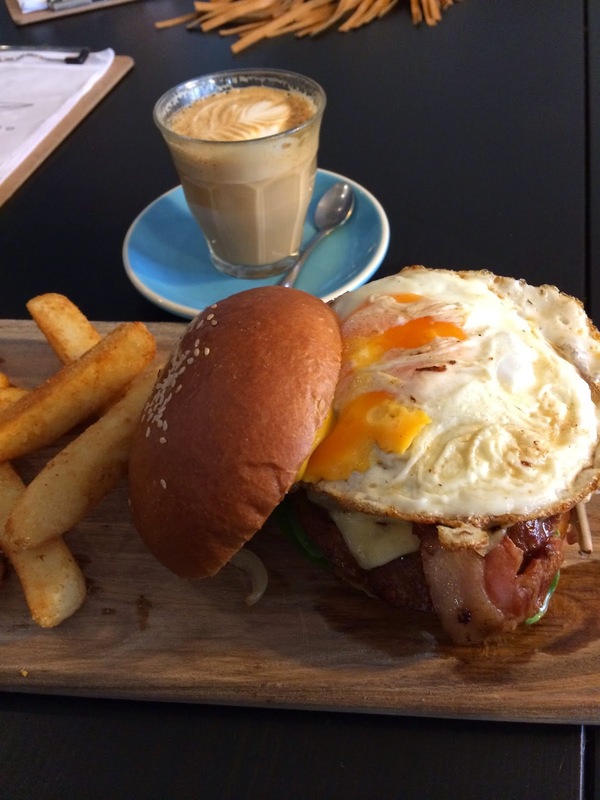 After perusing the exhaustive menu, I decided on the Beef Burger with the Lot and a hot latte. K opted for The Tiny Dancer. 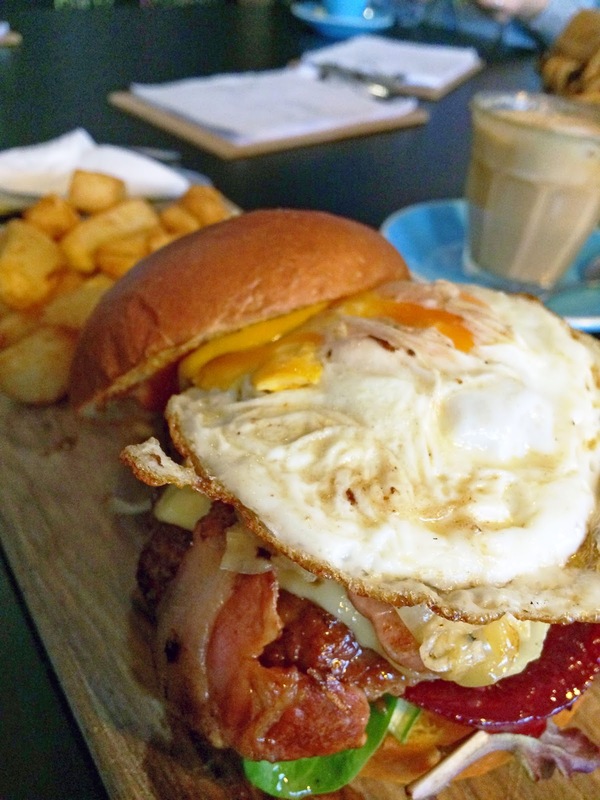 The Beef Burger is a mouth watering tower of bacon, beef, egg, caramelised onions, beetroot, Swiss cheese, tomato and lettuce served on a soft brioche bun! Just in case the burger doesn’t fill you up, there’s a side of Bad Boy Fries. The worst thing about this burger was trying to fit it into my mouth. First, I decided to be civilised and cut it with a knife but because of the layers of ingredients it was futile. So, I went with the hands! 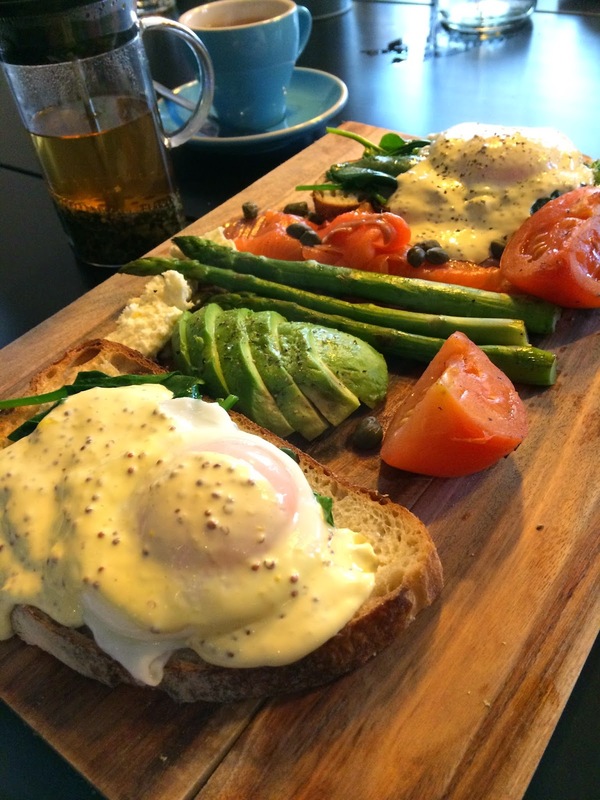 The Tiny Dancer that K chose is a combination of Eggs Benedict, avocado, tomato, asparagus, salmon and capers. The rich Hollandaise covered eggs is well balanced by the fresh vegetables. This has been on the top of my to go list for such a long time! The tiny dancer doesn't look tiny at all but the eggs on it looks amazing.